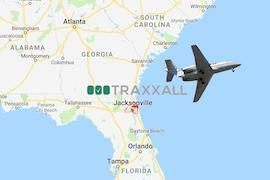 Montreal, November 29, 2016 – TRAXXALL Technologies, providers of an innovative aircraft maintenance tracking and inventory management system, today announced that it will open a new office in Jacksonville, Florida. A significant increase in clients and aircraft has provided the opportunity for TRAXXALL’s management team to hire some of the best aircraft maintenance tracking experts in North America. James Cook. Formerly a Business Analyst with SkyBOOKS, James served in the US Navy and has more than 25 years of aviation maintenance and software application experience. Ryan Kraus. Previously a Senior Analyst at Gulfstream CMP, Ryan has almost 25 years of industry experience and is also FAA Airframe and Powerplant (A&P) certified. Tory Martin. Formerly an Account Representative at SkyBOOKS for almost a decade, Tory previously served in the US Navy for more than 23 years. Michael Shelton. Previously a Quality Assurance Analyst with SkyBOOKS, Michael has 15 years of aviation industry experience. He began his career in the US Marine Corps. The team will be led by Jeff Dougherty, who is already well-established in the Florida aviation community. TRAXXALL delivers the most innovative aircraft maintenance tracking and inventory management system on the market today. Founded in 2013 and headquartered in Montreal, Canada, TRAXXALL has sales and support staff across the US, and a sales office in London, serving Europe, the Middle East, Asia and Africa. For more information, please visit www.traxxall.com.